My Battle Name is Jose Luis! 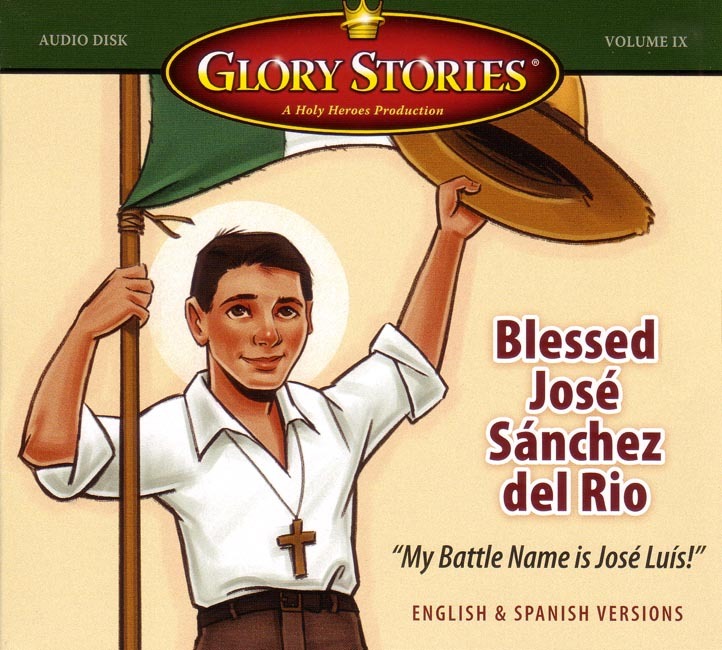 - The Story of Blessed Jose Sanchez del Rio: Exciting and inspiring story of a 14 year old boy who was beatified Nov 20, 2005. The dramatic story of the courageous faith of this teenager during a time of severe persecution of Catholics in Mexico less than 100 years ago is soon to be a major motion picture, Cristiada (starring Peter O'Toole, Eduardo Verastegui of Bella, and Eva Longoria). Reveals through Blessed Jose's true-life story what Godfathers should be and how joy and steadfast faith can convert even the most brutal opponent. If you want to raise strong Catholic boys--you need to have this CD! This CD includes both English and Spanish!